SamSung and LG are two innovative mobile manufactures providing good handset since few years from now . They were first to introduce high end camera phones in or above 8 mega range .We also reported about the launch of Samsung solar mobile which made a great impact on Indian mobile market . Both Samsung and LG are now about to roll out their two watch phones namely SamSung S9110 and LG GD910 . Both SamSung S9110 and LG GD910 looks alike in design but dissimilar in specifications and price .Counting specification the best watch phone among both is LG GD910 . But the price factor gives more attraction to SamSung S9110 . LG GD910 offers video call camera and 3G , but Samsung S9110 misses both . 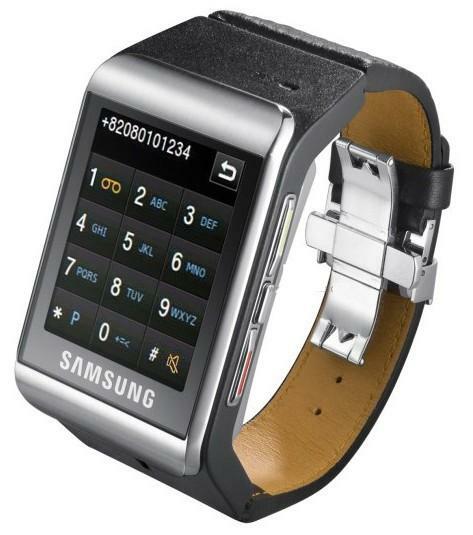 SamSung S9110 watch phone . Both SamSung S9110 and LG GD910 offers TFT capacitive touchscreen with 256K color screen . Size : LG GD910 1.43 inches ,SamSung S9110 1.76 inches . Both offers speaker phone and mp3 player . LG GD910 comes with CIF, 352 x 288 pixels primary camera and secondary video call camera . So it could be be used as a spy phone . 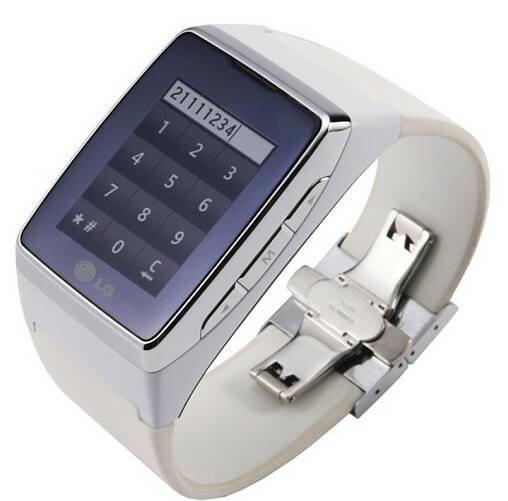 As I said LG GD910 has the facility for 3G ,EDGE , Bluetooth with A2DP and GPRS class 10 connectivity and data transfer facilities .Water resistance ,voice recognition ,SMS, EMS, MMS ,Email are the other notable features . These two phones ,especially the LG GD910 watch phone is really impressive to include all these features into a small piece of device .We personally liked the compact and feature rich LG GD910 . SamSung S9110 will have little larger display ,and will be available at a smaller price . .The price and official launch dates are yet to announced .